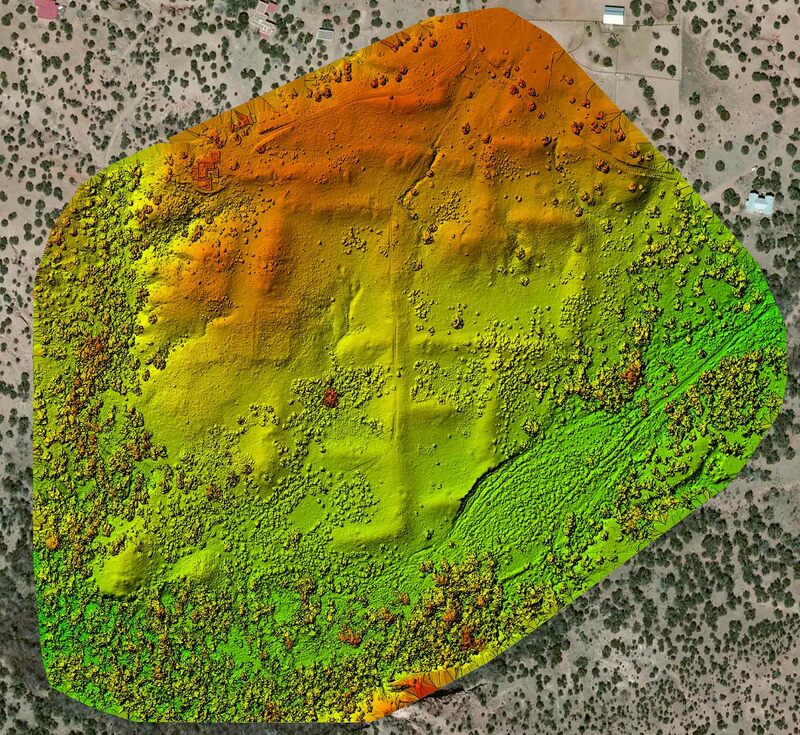 The aerial mapping of Pueblo San Marcos is one project in a series done on a volunteer basis for the Archeological Conservancy. Pueblo San Marcos was in existence from late Coalition through Pueblo Revolt period (A.D. 1250-1680), and contains an estimated 2,000 rooms in 22 two- and three-story high adobe roomblocks, the remains of a 17th century Spanish Colonial mission complex, and other features. Jeff Brown used an Inspire 1 Pro drone carrying a DGI X5 20-megapixel camera to fly a grid pattern to take overlapping photographs. The photographs were then stitched together into a high-resolution orthomosaic—an aerial photograph of the entire site. The results provided baseline data to help the Archeological Conservancy prevent erosion and track vegetation growth and other conditions of the site. The data collection by the drone also allowed for a digital surface model model that illustrates the topographical dimensions of the roomblocks and landscape features.